Kim at Shop With Me Mama is a stay-at-home mom to two adorable kids. Her blog is filled with giveaways and reviews; right now she has a great Valentine’s Day gift guide that can help you out if you’re stuck on what to get your loved one this year. Kim says she loves to laugh, and her personality shines through her writing. She’s even kind of famous, having been in a Proactiv Solutions commercial recently! Judy of Judy’s Handmade Creations is one talented lady! She crochets, makes jewelry, and also makes papercrafts, which she shares on her blog. If you ever need inspiration for a project, just check out her sidebar for ideas on birthday cards, embossing, Cricut creations and more! 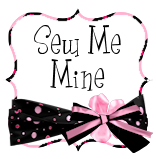 Donnelle at Sew Me Mine is another crafty blogger. She loves to sew and was inspired by her mom. She’s a stay-at-home mom and is new to the blogging world, but is already off to a great start. You’ll find giveaways, Blogger tutorials, freebies and other resources when you visit. I’m a new follower from friendly Friday! I am a new follower from Friendly Friday! Thank you for hosting! Please follow me back if interested. Happy Friday! This is my first blog hop. Thanks for hosting! Thank you so much for hosting! I’m new here. Your blog is very cute. I’m going to explore more of it now. Have a great weekend! Hi I am now a GF follower, have posted you banner on http://ohmyheartsie.blogspot.com in my Weekly hops. Please stop by and follow as well. Have a great weekend.